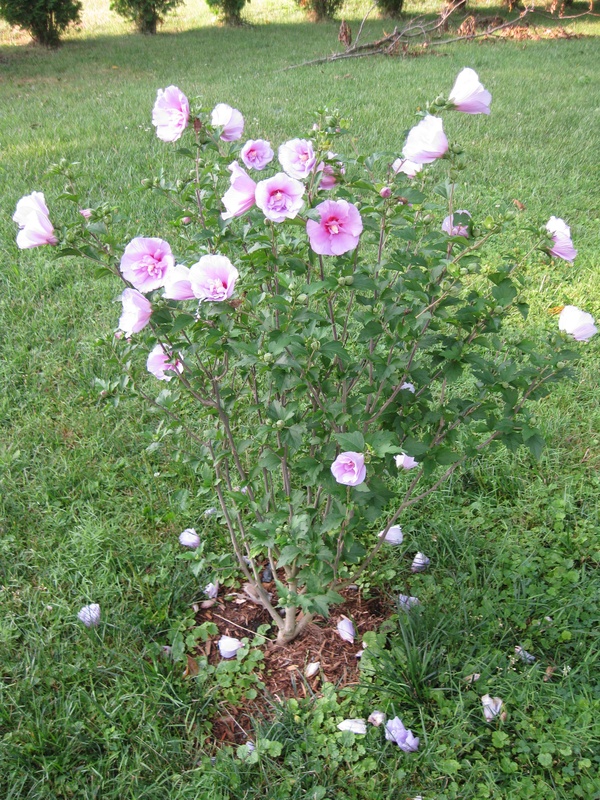 For mother’s day my family got me a Rose of Sharon plant. Working this week doing the Bible lessons for Vacation Bible School has gotten me to thinking a lot about ordo salutis (“the order of salvation”). This refers to the series of conceptual steps within the Christian doctrine of salvation. Evangelical tradition is particularly focused on “the decision” to follow Christ, and “accepting him into our heart.” While a choice is involved here that can change one’s life, we might be noticing the spiritual blossoming when we concern ourselves primarily with a person’s sudden conversion experience. Let me put this out there up front: I grew up in a revivalist tradition, in which a signal experience is what initiates one into the faith. Further, in that tradition it is more similar events which act as catalysts for further growth in the faith. Crisis experiences, usually building on emotions and culminating in a trip to the front of the church/campmeeting/crusade venue and subsequent prayer, are what create significant growth in the Christian life. These experiences likely have to do with the confession of a known sinful act or habit or the sudden realization that one’s current pattern is displeasing to God. I am not about to dismiss the potential value of theses events/experiences. But I will question their sufficiency. Too often we watch the same individuals having emotional releases, only to return to the same patterns of life. It’s a problem at least as old as the revivalist tradition itself, as John Wesley himself struggled with it and created the Methodist system as a corrective. One could conclude, as Wesley did, that those who reverted to the old ways never really tasted the saving power of Christ; others, wrongly in my reading of scripture and Christian doctrine, claim that the experience itself authenticates one as “saved” for eternity. Apparently, change is optional. Tell it to Paul. That brings me to the subject of the day, and of the brief passage below. Transformation happens not by an emotional experience, but by the renewing of the mind. We may well experience—and many may well need—the jolt of the emotions provided by the revivalist approach. But change will only come when the mind is changed. We need to think differently about things if we are going to act differently. We need to unlearn some things, some of which were certainties before the word of God pointed in a different direction. We will have to take a look at the ideas we’ve adopted from the culture, along with the ones we didn’t even think were open to serious challenge. But there’s more to it than turning the faith into an intellectual battle with “worldly” ideas. As Paul’s argument continues, we find that we are called into action immediately, requiring a different attitude and set of habits toward the people we live with and encounter on a regular basis. Is it the case that these ways of dealing with people constitute the renewing of the mind as much as the bigger worldview questions? It’s interesting to note that if we think one must be “saved” from spiritual separation from God–by mainly the act of a conscious choice–the mentally handicapped and others are excluded. It also erodes some of the proper understanding of God’s sovereign work (as if Salvation is “up to us”). If however we see both the hunger to seek the truth about life and God, and also we perceive the work and indwelling of God, (seen best in the fruit of the Holy Spirit), we may be noticing the blossoming of God’s continuous work (of which is largely a mystery). It seems we must be careful to understand the entire process, including the disciple-making (training) and sanctification process, post-decision…if “the decision” is even the crux of it all in the first place. For us it may seem pivotal, but later a deeper experience could follow, yet for God, it’s one long Story that includes his work, and us (individually) and the rest of humanity. In truth we have a limited and frail concept of what God, by his grace, gives us. What are your ideas regarding salvation or conversion? Chavatzelet HaSharon (Hebrew חבצלת השרון) is an onion-like flower bulb. (Hebrew חבצלת ḥăḇaṣṣeleṯ) is a flower of uncertain identity translated as the Rose of Sharon in English language translations of the Bible. Etymologists have inconclusively linked the Biblical חבצלת to the words בצל beṣel, meaning ‘bulb’, and חמץ ḥāmaṣ, which is understood as meaning either ‘pungent’ or ‘splendid’ (The Analytical Hebrew and Chaldee Lexicon). 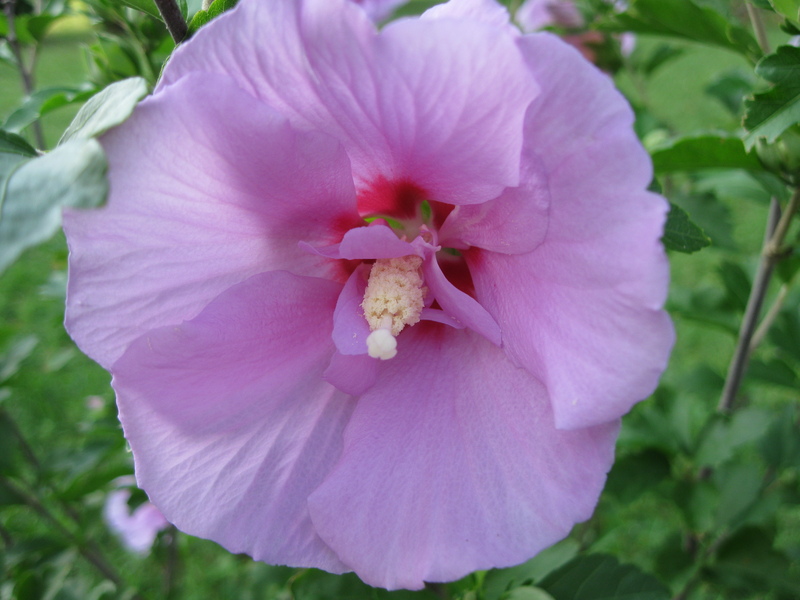 The name Rose of Sharon first appears in English in 1611 in the King James Version of the Bible. According to an annotation of Song of Solomon 2:1 by the translation committee of the New Revised Standard Version, “Rose of Sharon” is a mistranslation of a more general Hebrew word for “crocus”. The most accepted interpretation for the Biblical reference is the Pancratium maritimum, which blooms in the late summer just above the high-tide mark. The Hebrew name for this flower is חבצלת or חבצלת החוף (coastal ḥăḇaṣṣeleṯ). 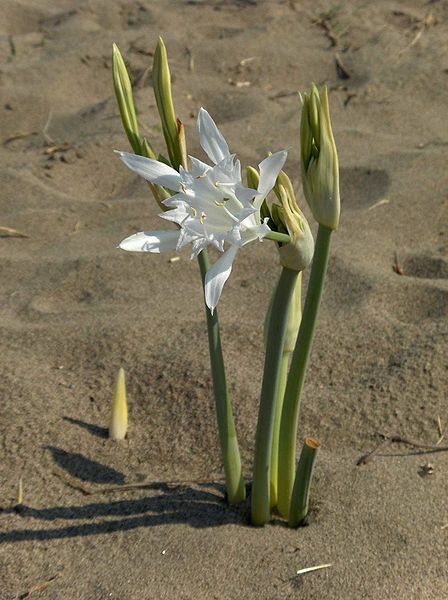 It is commonly assumed by most people in Israel that, the Sharon plainbeing on the coast of the Mediterranean Sea, the Biblical passage refers to this flower.